ONE OF A KIND, ONLY FROM JOLLY JUMPERS! Resourceful, Cunning, Strong, Martial Artist! Batman represents a man who becomes a super power of his own volition without the aid of any supernatural powers! Batman ranks in the top 3 of the greatest super heroes ever. 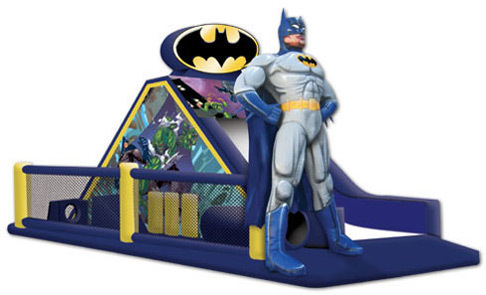 Batman line of inflatables is available in different popular styles.